In biological systems such as ant or bee colonies, collective effort can solve problems not efficient with individuals such as exploring, transporting food and building massive structures. 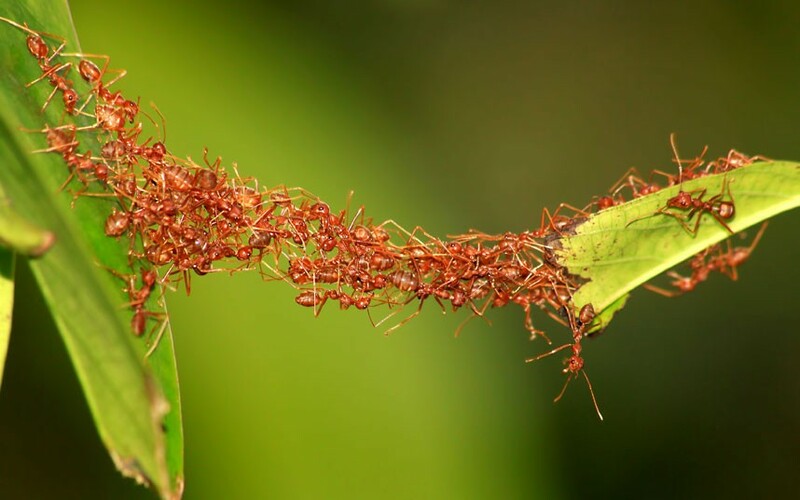 Some ant species are able to build living bridges by clinging to one another and span the gaps in the foraging trail. This capability allows them to rapidly connect disjoint areas in order to transport food and resources to their colonies. 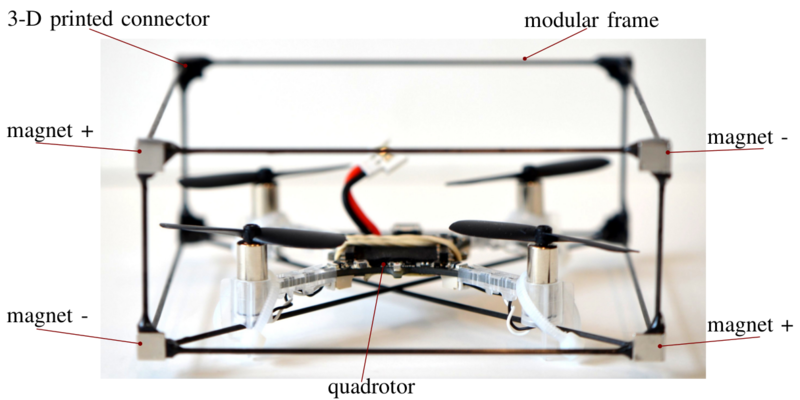 Recent works in robotics have been focusing on using swarm behaviors to solve collective tasks such as construction and transportation. Docking modules in midair offers an advantage in terms of speed during the assembly process. For example, in a building on fire, the individual modules can rapidly navigate from a base-station to the target through cluttered environments. Then, they can assemble bridges or platforms near windows in the building to offer alternative exits to save lives. D. Saldana, B. Gabrich, G. Li, M. Yim, and V. Kumar, “Modquad: the flying strucuture that self-assembles in midair,” in Ieee international conference on robotics and automation 2018, Brisbane, Australia, 2018. 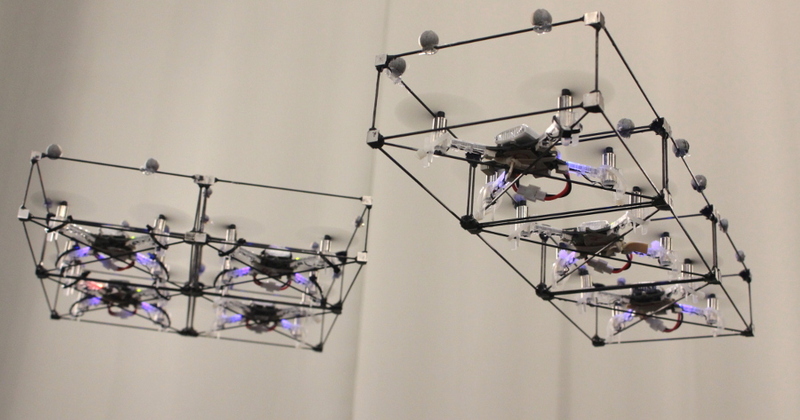 Mar 18, 2018 | Filed under Flying Devices, Modular Robots and tagged with brunogabrich.